This is a fun one. And super easy too! I was standing on line at Michaels, as I do, when a bin of popcorn ball kits caught my eye. 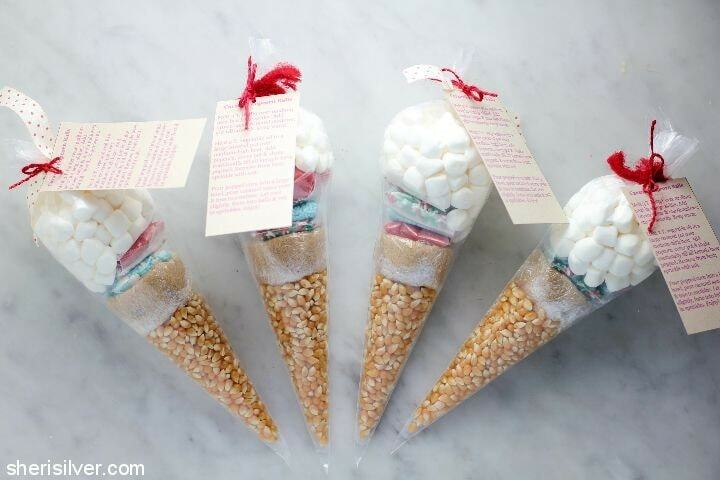 And I thought: 1) HOW cute is that idea, and 2) I could totally make these myself. Once you have all of your materials assembled these come together quickly, and make a fun, super-different gift to give. These are also easily customized, so think Valentine’s Day, St. Patrick’s Day and Easter too! Click for the printable instructions to include with your kits, and be sure to keep a few for yourself! For easy filling, place the pastry bag into a drinking glass, cuffing the top around the rim of the glass. Fill with the popcorn kernels, followed by the brown sugar. 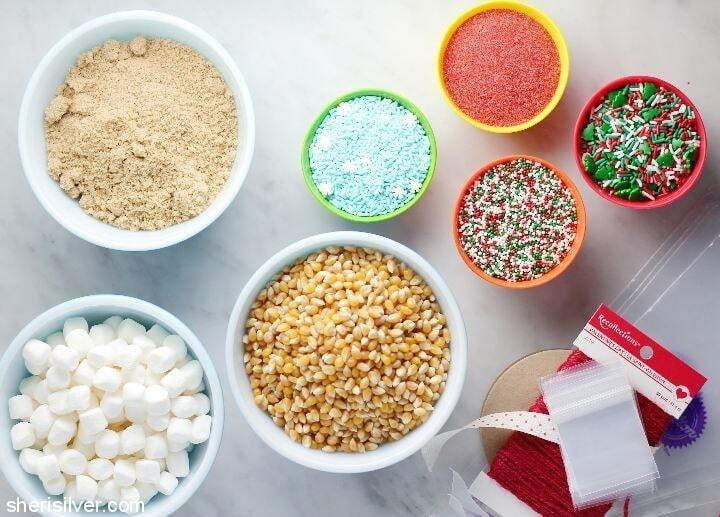 Top with the sprinkles and finish with the marshmallows. Punch a hole in the instructions, thread the ribbon through and tie up the bag. 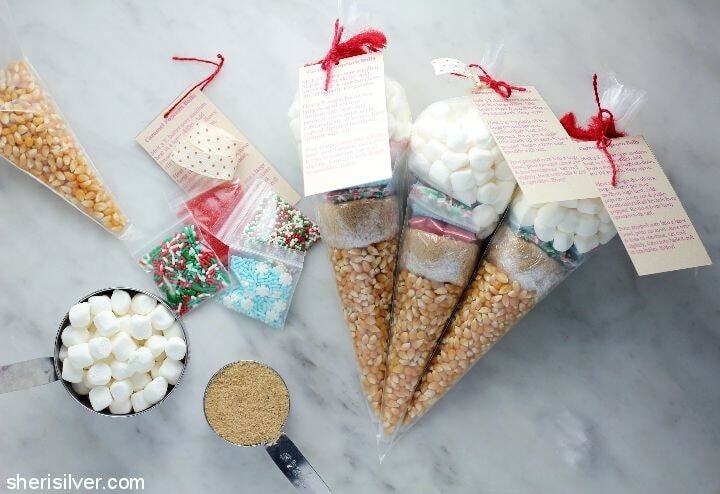 Check out my Pinterest board for more fun foodie gift ideas! 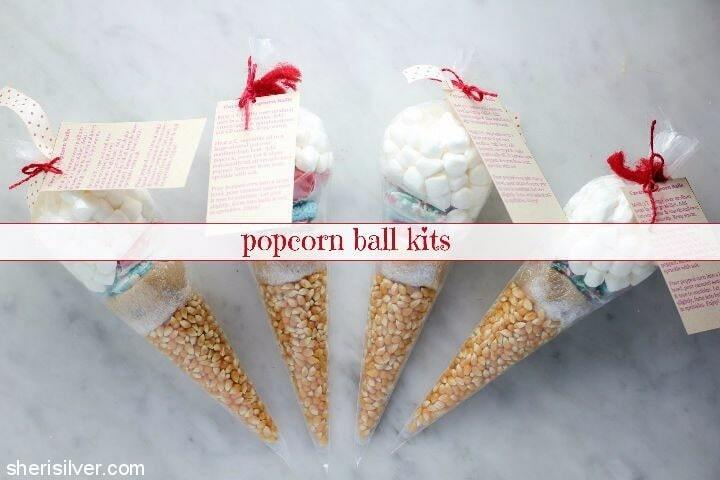 Love the popcorn ball kits. Thinking I might be giving this out for Halloween!